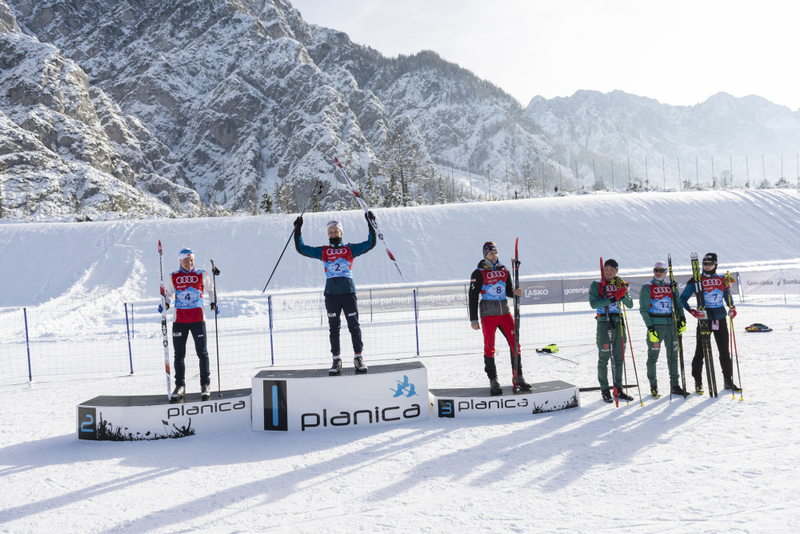 Men’s Continental Cup continued with the first of two competitions in Planica where 51 athletes from 14 countries fought for podium places and points. Norway’s Naesvold continued with a series of great performances. After the ski jumping round on the 138-meter Bloudek giant hill the classification was led by Christian Deuschl of Austria who landed on 132.0 meters and received 131.2 points. Cup leader Leif Torbjoern Naesvold of Norway took the second place (134.5 m., 130.4 p.) with a lag of 3 seconds, while he’s teammate Sindre Ure Soetvik finished in third spot (130.5 m., 124.1 p.). The Norwegian trailed the leader by 28 seconds. Naesvold continued with a series of podium finishes, although victory wasn’t that easy. He’s biggest rival on the course was another Norwegian Lars Ivar Skaarset, who finished fourth in the first part of the competition. He than managed to threaten Naesvold a bit, but in the end crossed the finish line 5.8 seconds later. First podium finish of the season went to Austria’s Thomas Joebstl who came in third with the fifth best cross-country time. The competition in Planica resumes tomorrow at 9.30 with the jumping round and continues at 11.30.